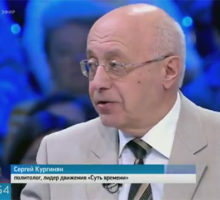 On May 22 during the First Studio talk show on the Russian Channel One, Sergey Kurginyan, the leader of the Essence of Time movement and a political scientist, said that discrimination against Russians in Ukraine is the same as it was in the US before the Civil War against black slaves. 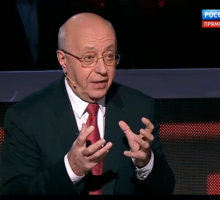 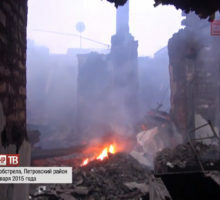 Renowned political analyst and leader of the Essence of Time movement, Sergey Kurginyan, said on the air of the First Studio talk show on Russian Channel One that if Ukraine begins exterminating Russians it will lose its statehood according to the genocide law. 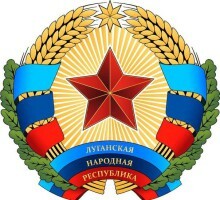 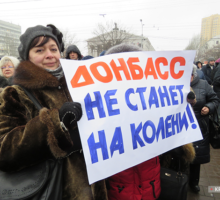 The Ukrainian side cut the water supply to Lugansk People’s Republic (LPR) via Petrovsky water supply system located in the territory controlled by Kiev military, LPR envoy of the Contact Group on Minsk talks Vladislav Deynego informed during a briefing in Lugansk Information Centre. 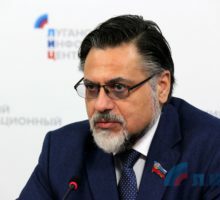 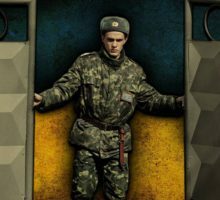 The bearers of post-maidan ideas are afraid of Christianity and Soviet culture strongly and for a reason, for these can oppose “genetic” nationalism, embraced by current representatives of Ukrainian authorities, claimed the professor of Mikhail Matusovsky Name’s Lugansk State Culture and Arts Academy, culture scientist Nina Ishenko told in an interview to LuganskInformCenter. 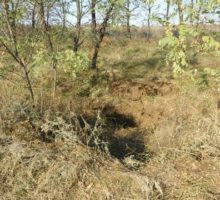 The officers of the Lugansk People’s Republic (LPR) Ministry of State Security discovered a mass grave of the victims of Ukrainian nationalist battalions in Lutugino district, the press service of the Ministry informed on October 20th. 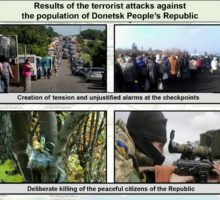 Special Operations Forces of Ukraine established Informational-Psychological Centers to fight against its own population, Deputy Operations Commander of Donetsk People’s Republic Eduard Basurin stated during the briefing in Donetsk News Agency on August 30th.